The 2015 Metal House debut is a small-batch sparkling cider made in the méthode champenoise from 100 percent untreated Hudson Valley apples. We start with apples sourced entirely from historic Hudson Valley orchards and our own reinvigorated family orchard in Esopus, NY. After having sweat the apples for a spell, we press on our handmade rack-and-cloth press. Initial fermentation takes place in glass and stainless steel, and then rests through the winter in our steel clad cider house – the metal house! We blend in the spring, and start a new tirage using champagne yeast, nutrients and sugar to restart the fermentation process. We bottle immediately and then lay the bottles horizontally for a minimum of six months, allowing the second fermentation to proceed slowly, and imparting an optimal effervescence to each one. After riddling the lees into the neck of the bottle, the precipitate is disgorged and the bottle is topped off with a cider dosage. We then cap, clean and label bottles. Sure, one can make cider in about four days. But good things take time. From the sustainably grown apples we pick, to the way in which we ferment, to the time we allow it to bottle condition, we work for it … and wait for it. Toil, love and time. We are lucky to live and work in the town of Esopus in Ulster County. Once a locus for fruit and apple farms of great fame, Esopus is bound by the west bank of the Hudson River, the Rondout Creek, and the Wallkill River and includes the Shaupeneak Ridge and Black Creek to the south. The Hudson Valley already enjoys a temperate growing season and we additionally benefit from the riverʼs close proximity and its capacity to moderate temperatures. A mixture of silt loam and loamy sand soils represents the rolling and moderately hilly surface of our little slice of this graceful valley. There is a word in italian that doesnʼt quite translate to english. Sano means healthy and sound, as in the food we eat, the environment we surround ourselves in, and the ideas we support. Complete. 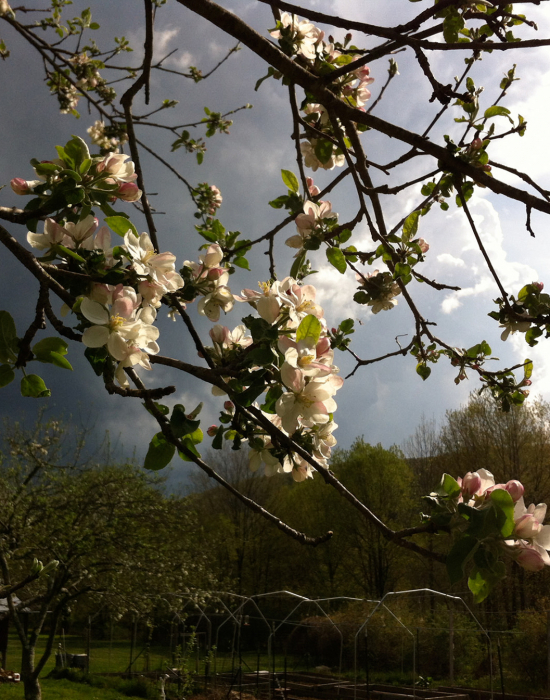 This is the orchard from which we want to harvest apples…An orchard free from unnecessary herbicides, fungicides, pesticides and chemical fertilizers allows organisms to work with the trees, improving the flavor and characteristics of the fruit. Beneficial flora have the opportunity to thrive. We see this in abandoned orchards, that despite years of neglect the trees have developed a symbiosis with nature. 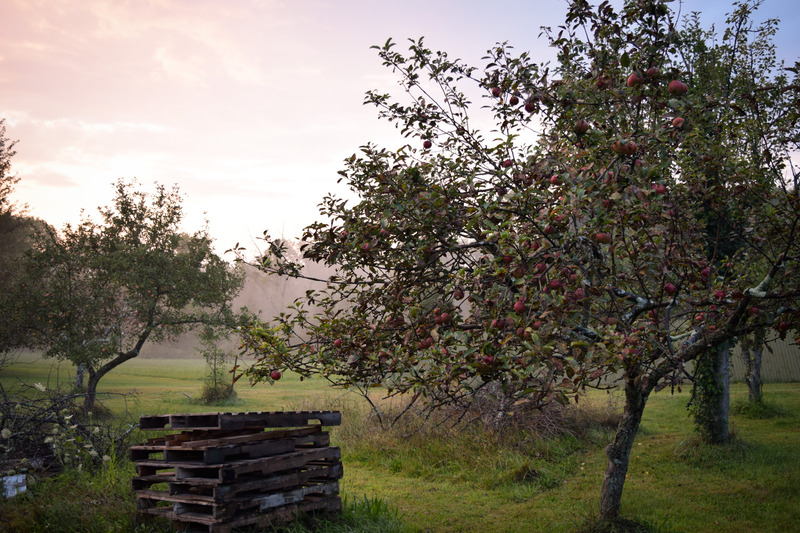 We pick apples from a cross-section of these old orchards and endeavor to use the most sustainably grown fruit available to us. 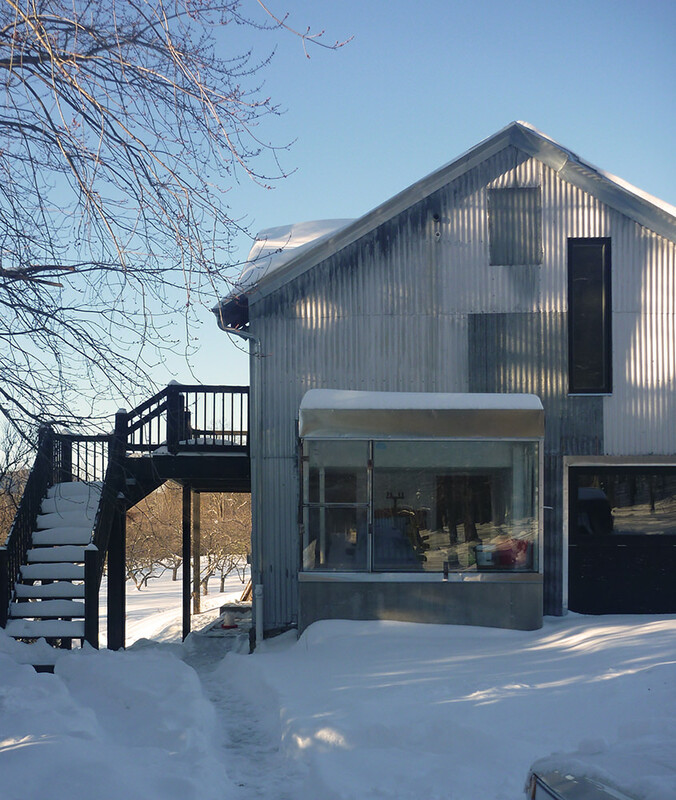 Upon moving to Esopus, we found a corrugated shell of an apple barn for the surrounding orchard, predating the house on the property by decades. We insulated the barn with sustainable cellulose allowing heat to be provided by passive solar heat gain from the large south facing windows of the bottling room. Built on a slab of bedrock, the uninsulated concrete floor allows an ideal ground temperature to maintain heat in the winter and cool in the summer. We still love its modest aspect, while knowing weʼve transformed the structure into a modern, sustainable workplace. A lot of magic happens inside, inspiring the label as well. We are a builder and a painter who moved to Esopus from the city in 2009, eight months pregnant and ready for something closer to the land. The orchard is a homecoming of sorts for both us – (Matt grew up in the Finger Lakes region of New York, where his dad is a winemaker, and so he spent his childhood in the vineyards and cellar. Kimberly has always loved the harvest, whether it be olives in Italy or summers working wheat harvest in her native Walla Walla, Wa.) 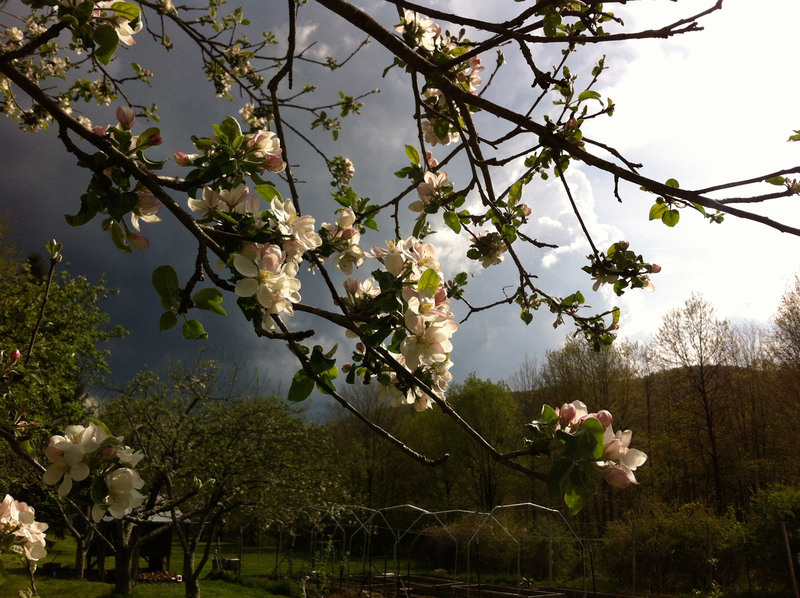 It wasnʼt long before we started to experiment with cidermaking using the curious and flavorful fruit from the neglected apple trees on our property. 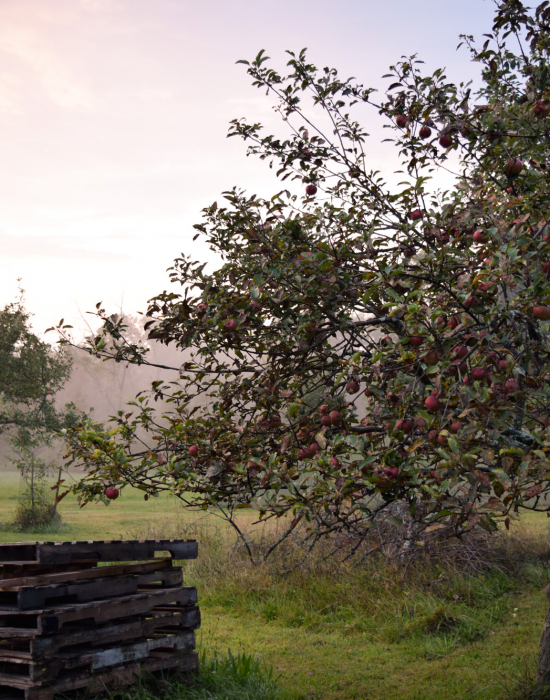 We relish the harvest as well as the hard work required to produce a superior cider that is a true reflection of the Hudson Valley and its story. We heartily enjoy the spoils and hope you will too! Releasing at Hudson Valley Cider Week 2018 – our 2nd release from the 2016 harvest, is intense and fruit forward with a focus on Organic Goldrush. Methode Champenoise. 12 months on the lees. 150 cases produced. 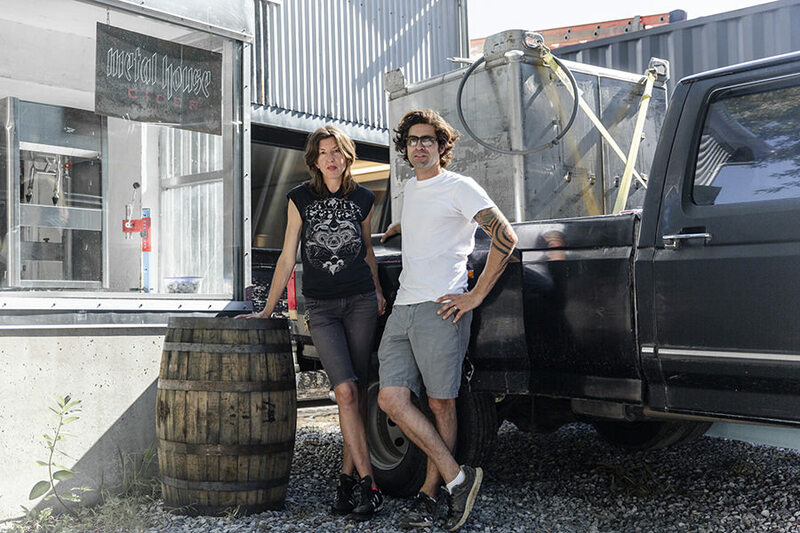 Metal House Cider’s first release was a tour de force, reminiscent of a quality blanc de blancs sparkling wine rather than a kitchen experiment with apples.